Hullcoin: The World's First Local Government Cryptocurrency? Hullcoin: The World’s First Local Government Cryptocurrency? A forum at Hull City Council in the UK this month saw the launch of the very first UK local government operated cryptocurrency, dubbed HullCoin. The reason for this unprecedented technological act of local government is to tackle poverty, the council says, making it arguably the most worthy use of a cryptocurrency yet. Hull, or Kingston Upon Hull to give it its full title, is one of many cities across the UK that has suffered due to the national recession and the coalition government’s welfare reforms. This in turn has led to a large increase in the number of people living in financial poverty. Local currency projects have been set up before in many countries, and are indeed still in proliferating. In many cases, they have been used to protect local businesses by creating a system whereby money stays within a local economy and is not spent with larger companies that do not return investment into those areas. CoinDesk recently reported on one such example, the Brixton Pound. Other examples in the UK include Bristol, Stroud, Lewes, and Totnes, and there are many others. However, none of those currencies are digital currencies, nor are they aimed directly at social justice or poverty. In the case of Hull City Council, Dave Shepherdson the Financial Inclusion Support Officer, explained to me that previous local currencies were treated as loss leaders. In the case of HullCoin, mining a cryptocurrency actually works as a way to add value to the local economy. 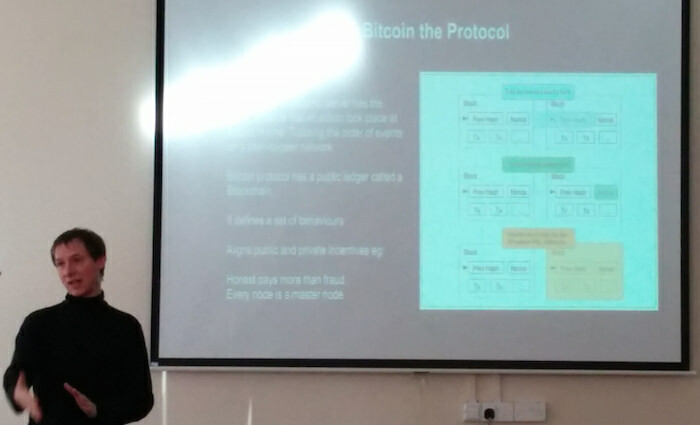 The idea to use cryptocurrency came about when Shepherdson was asked by the Hull City Council Welfare Rights Manager, Lisa Bovill, to investigate the possibility of using an alternative currency (in the sense of the Brixton Pound-type of local currencies) as a means to provide an anti-poverty framework in Hull. This was to be part of the ‘Hull People Premium’ scheme, aimed to help the people of Hull save money, and gain access to advice and aid for food, fuel and finance. Lisa Bovill said that the team spent some time calculating whether mining a cryptocurrency would be worthwhile and found that they could make it a profitable scheme. While the scheme is in its early days, Hull City Council are actively mining. 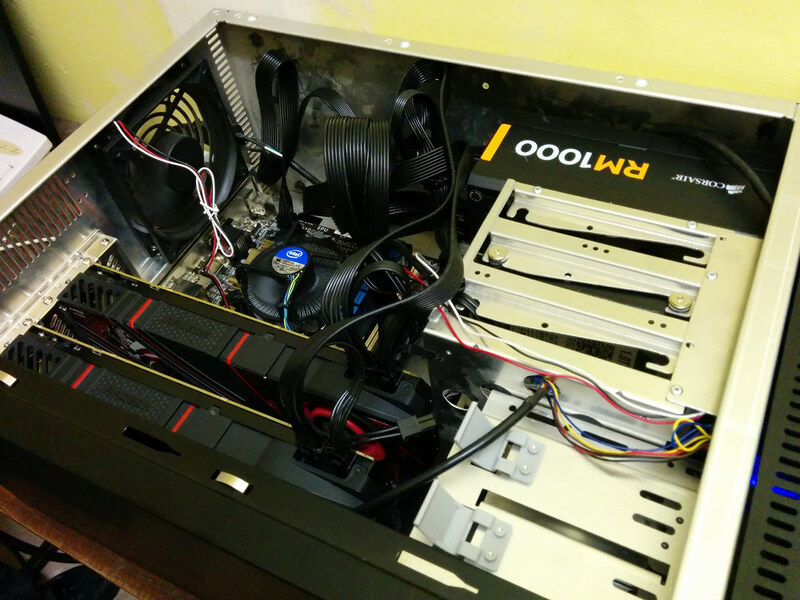 Its GPU mining rig is based on two Sapphire R9 290X graphics cards, and the project’s technical expert, Craig Chamberlain, said that the machine is running at 1.6 MH/sec. The money for this equipment did not come from tax payer funds. Rather, it was a donation from an unnamed benefactor who supplied the money with the stipulation that it must be used in a way to help the people of Hull. 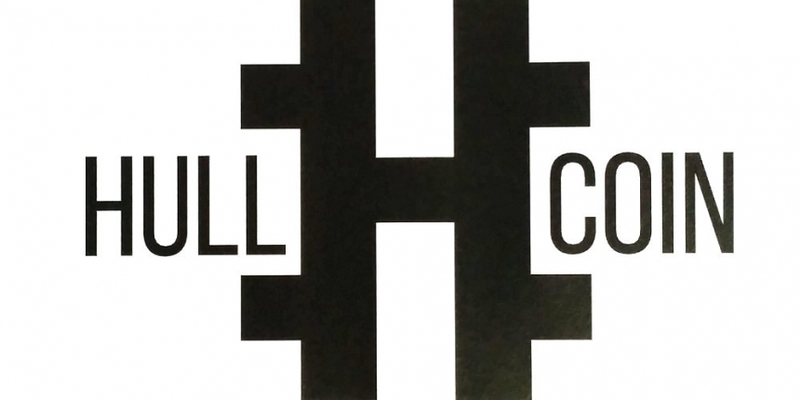 As altcoins go, HullCoin is different: it is a hybrid of two currencies. While the mining rig is generating scrypt-based currencies, HullCoins will be a 50:50 mixture of Feathercoin and Ven. The way in which the Hull City Council team plans to make use of HullCoin is through a ‘time banking’ type of scheme. Hull residents in financial distress can take part in voluntary activities and receive HullCoins in exchange. Kathryn Sowerby, Hull City Council’s Social Policy Officer, confirmed to me that receipt of HullCoins will not affect people’s benefits because cryptocurrencies are not yet recognised as actual currency in UK law, or in the eyes of the Department of Works and Pensions (DWP). “We are going to be inviting organisations to identify activities that will qualify for payment and then we are going to set on those rates of pay. Though that could be volunteering, for example, it could be at the point of crisis intervention. 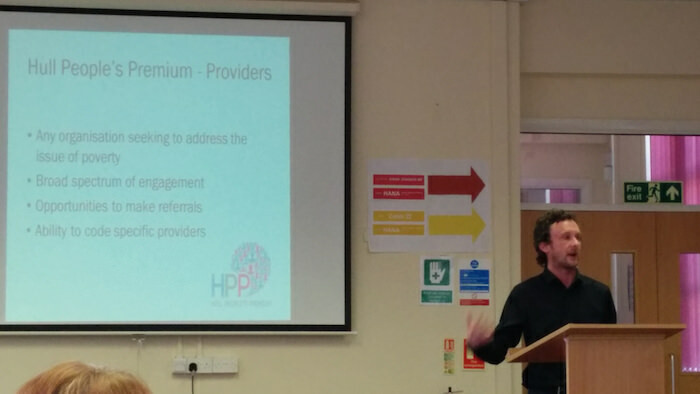 The official launch of HullCoin was held at the Hull Financial Inclusion forum, held on March 7th. 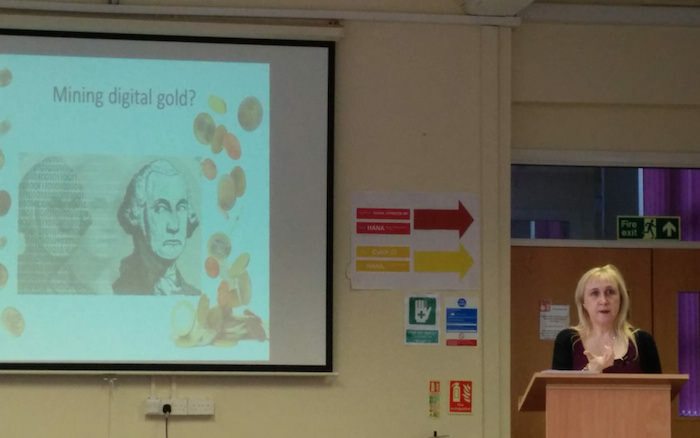 The HullCoin team and members of the Feathercoin project gave talks to an audience of representatives of Hull-based companies and non-profit organisations. Many of the audience were hearing about cryptocurrencies for the first time, and inevitably there were complaints that it was far too complicated. However, after discussion between attendees and speakers, there was a surprising turn around in opinion. By the end of the forum, there were many who became enthusiastic and were coming up with their own ideas for the potential uses of cryptocurrencies. In the long term, Hull City Council team foresees HullCoin going beyond anti-poverty uses. It was even revealed by Lisa Bovill that a ‘Hull Bank’ for the city’s currency was a long term goal. Whether or not the HullCoin project achieves its goal, it should be noted that this is the first time a UK local government has adopted the use of cryptocurrency. In a wider context, this a rare instance of cryptocurrencies being used to tackle the issue of social justice – surely a much more worthwhile use of digital currencies than idle speculation on market margins?